NAVAJO DAM –The Pine Main boat ramp at Navajo Lake State Park and surrounding no-wake zone will be closed to anglers this October during kokanee salmon snagging season to allow the Department of Game and Fish to harvest salmon eggs and sperm. The rest of Navajo Lake will remain open to snagging, including the spillway to the far corner of the dam. The kokanee salmon-snagging season at Navajo Lake runs from October 1 through December 31; the closed area will reopen to anglers on November 1. “Low water years have hindered our egg take from Heron Reservoir, requiring the use of Navajo Lake as an alternative source of salmon eggs this year,” said Richard Hansen, cold-water fisheries supervisor for the department. 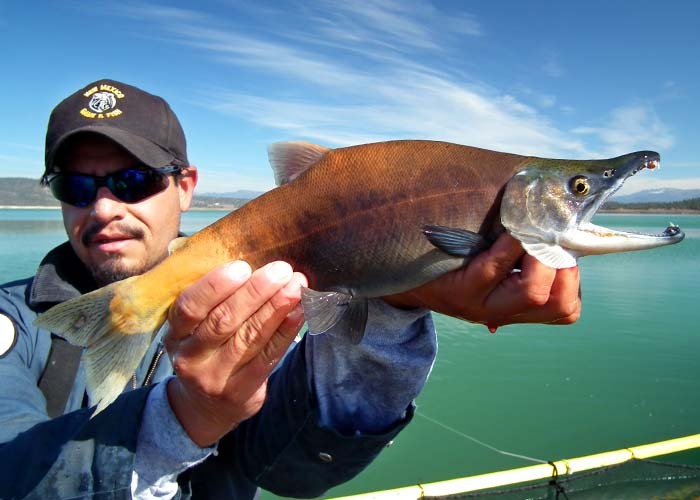 The New Mexico State Parks Division has agreed to support the closure, allowing the department to maximize egg take, which will provide salmon to stock next year. Kokanee are landlocked sockeye salmon that form schools, spawn and then die each fall. They cannot reproduce naturally in New Mexico’s lakes. Instead, each year department staff captures spawning fish and milks them of their eggs and sperm and raises the fertilized eggs at the department’s hatchery in Los Ojos. The fry are stocked out the following spring in Navajo, Heron, Eagle Nest, Abiquiu and El Vado lakes. Snagging is a technique for harvesting soon-to-die spawning salmon. Anglers cast heavyweight treble hooks into schools of fish and then reel them in. Anglers are allowed to harvest 12 fish per day and have 24 in their possession. The salmon snagging season runs from October 1 through December 31 at Navajo Lake, the Pine River, El Vado Lake, Abiquiu Lake, Eagle Nest Lake and the Chama River from El Vado Lake to the west boundary of the Rio Chama Wildlife and Fishing Area. The snagging season at Heron Lake and Willow Creek is from November 15 through December 31. 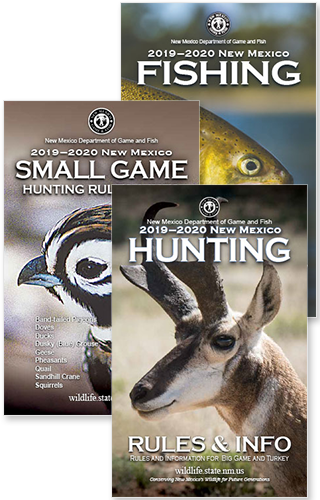 For more information about snagging season, please consult the “New Mexico Fishing Rules and Information” booklet available online at the department website, www.wildlife.state.nm.us. For more information about Navajo Lake State Park, please call (505) 632-2278 or visit www.nmparks.com.